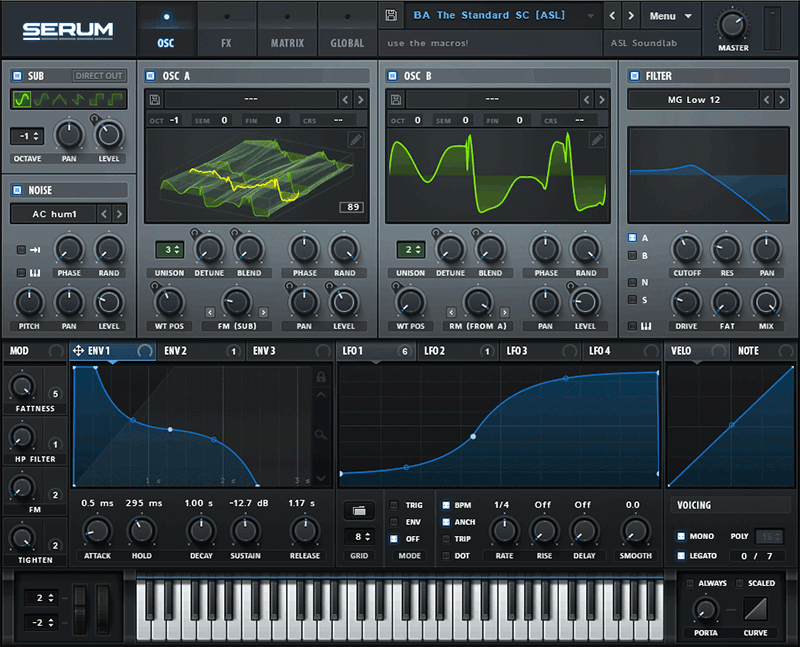 Serum is an advanced wavetable synthesizer developed by Xfer Records. Its interface allows a creative work flow and works with audio as well as the visual representation of that audio. The modification of audio waves in Serum is very diverse and allows for an in depth customization of sound. Oscillators, LFO’s, filtering and wavetable manipulation are well represented in this synth. The morphing and shaping of sound in unique ways gives the user not only a productive experience but also a fun one. Typhonic Samples has released multiple premium packs and free packs with Xfer Serum Presets, Wavetable and LFO’s!